Each year Linda Crowsey updates values and listings and adds new color photographs to produce a completely revised book. 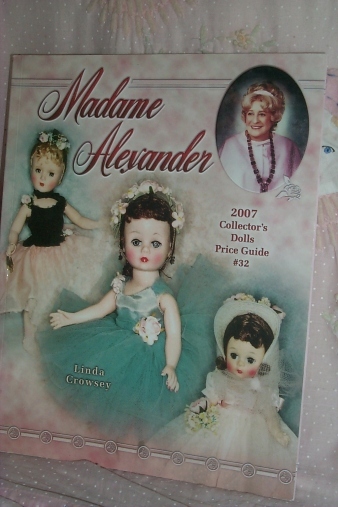 The alphabetical listings include nearly every Madame Alexander doll, and the newest store special - issues from Belk & Legget Department Stores, Madame Alexander Doll Club Convention dolls and those exclusive to members only, Neiman-Marcus dolls, QVC/Home Shopping Network exclusive, United Federation of Doll Clubs, and many more. All of the Alexander favorites remain, with updated prices given for the classic Cissy, Little Women, Wendy, Scarlett O'Hara, Alexander-Kins, and Ballerina dolls, plus hundreds more. The sizes, dates, outfits, and current values given for every doll listed, as well as the representative sampling of sharp color photographs, assist the collector in identification. This book is sure to continue to be one of our most popular doll titles.